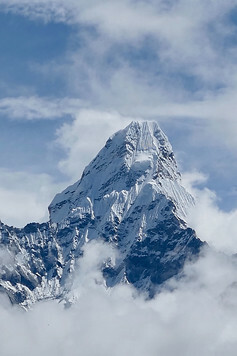 Nepal is one of the most unique countries in the world, famous for Everest, the birthplace of Buddha and momos. With 8 of the world’s 10 highest mountains, it’s the perfect destination for adventure travelers and trekkers looking to test their stamina at unbelievable heights. 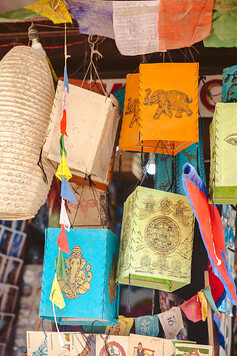 Nepalese culture, food and everyday life bear heavy influences from its neighbors India and Tibet. 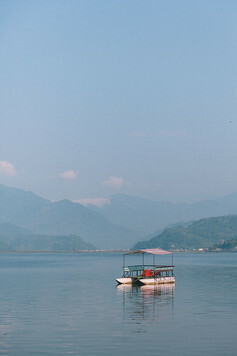 In fact, you’ll find many Indians and Chinese tourists when visiting Kathmandu and Pokhara. Only a few Westerners had even been allowed into Nepal prior to 1951 and even today, you’ll find samosas and fried rice offered at breakfast while Nepalese youth light up when signing Bollywood lyrics. What surprised me the most was how diverse Nepal’s landscape can be. Go beyond dusty Kathmandu to find the magnificent Himalayan Mountains in the north and flat rolling plains in the south. Nepal also contains a rich tropical forest and deep gorges, with exotic snow leopards, tigers, rhinoceros, monkeys and more. Visiting Nepal is not without challenges. A Maoist insurgency ended the Nepalese Kingdom by 2006 and a devastating earthquake in 2015 destroyed much of Nepal’s cultural treasures. Nepal is one of the poorest countries in the world, with half the population subsisting on less than a dollar a day. We saw women hauling unbelievable loads on their heads (bricks, timber and even 55″ tvs) and temples that still lay in pieces. With lots of patience and a sense of adventure, you’ll find lots to discover. 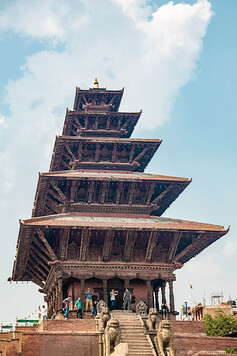 Below are some practical tips for visiting Nepal and our favorite things to see and do. Electricity: 220V – but why worry about this? Grab a universal plug adapter! Low Season (June – September): Summer brings monsoons to Nepal, so you’ll find hot sun, rain and mud. We visited in June and got lucky with the weather but the two days it rained – it poured and the dusty dirt roads turned into lakes of mud. Most trekking is closed. On the flip side, you’ll find rock bottom rates for hotels and tours. Shoulder Season (March – April): Spring is a great time to visit, as the weather is mild and flowers bloom along the trails. Everything is lush, green and best of all, cool. High Season (October – November): This is peak season for trekking around Everest and Annapurna. Expect the highest hotel prices and limited availability. Winter is also a great time to visit Chitwan National Park and spot wildlife. You’ll need a visa to visit Nepal, unless you’re an Indian national. Luckily it’s very simple to purchase a tourist visa on arrival in Kathmandu international airport. The lines can be pretty slow moving at peak times, but we arrived around 8pm and found it pretty straight forward. Head to the computer kiosks and scan your passport. It will prompt you to fill in some standard details like where you’re staying and contact information, then take a photo. Use the print out to head to the next counter, where you’ll pay for your visa. Visitors can spend up to 150 days in Nepal. Bring cash (USD is one of the accepted currencies) and try to have the exact change if possible. Once your visa is paid for and added to your passport, you can proceed to immigration. Internet is pretty cheap in Nepal. We always rely on KnowRoaming when we travel, since they have 1 global SIM card that you can use to access cellular service almost anywhere in the world. Whatsapp text and calls are free and they have recently started offering unlimited data packages which are incredibly affordable. Check data packages and rates here. Or, you can purchase a local SIM once you arrive to Kathmandu and top up data as you go along. A couple friends in our group did that and said it was inexpensive! Nepal has designated Tourist Buses and Tourist Taxis for foreigners to use. You’ll spot them by the large green text on the windshield. There are also local buses but we didn’t try taking any of these. For one, they’re jam packed and secondly, we also didn’t know the routes they take. If you’re up for it, I heard the local buses are only a couple cents per ride. For taxis and vans, you need to negotiate with the driver as they won’t use the meter. They will usually up charge you so get ready to bargain. For us, getting around Kathmandu to see the various sights and temples cost ~$5-10 each way, depending on the distance. If you can speak Hindi, it’s easier to bargain! For getting between places, try to take a flight if possible. Even though distances might not be long, poor road conditions and lack of infrastructure can mean an all day bus ride in tight, bumpy conditions. For example, getting from Kathmandu to Pokhara takes 25 minutes by flight.. by anywhere from 6 to 10 hours by bus. Nepal’s infrastructure is not in the best condition so unfortunately for most places a van is your only option. Check here for deals on airfare. Check for flight deals to Nepal here and expect crowds and higher prices in spring and fall, when trekking season opens to Everest Base Camp. We went in the off season at the start of Monsoon summer and weather was decent enough. Book your hotels in advance to save or check here for last minute deals. 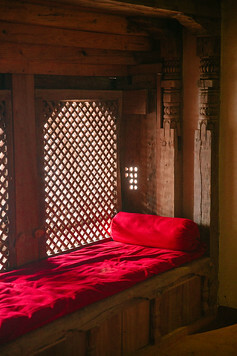 Many hotels in Nepal are old but increasingly more modern, heritage-style hotels are being built. Kathmandu frequently suffers from power outages so keep expectations low/reasonable and take along extra power banks. Lastly, be sure to visit Nepal with travel insurance. Kathmandu and Pokhara are hectic, crowded cities with non existent sidewalks and motor traffic everywhere. Trek safely, as altitude sickness can impact anyone. A guy in our group was run over by a motorcycle and ended up with a 4 figure hospital bill. Whether phone gets stolen, or an injury forces you to cancel all or part of your vacation, travel insurance will help when you need it most. I use and recommend World Nomads travel insurance. Nepalese food is a blend of Tibetan and Indian, with some of its own surprises!